National Board Certification, offered by the National Board for Professional Teaching Standards, is a voluntary performance-based assessment through which candidates demonstrate in-depth content knowledge and best teaching practices as measured against high and rigorous standards. 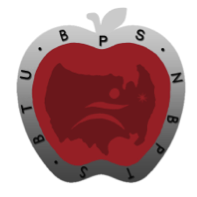 What are the benefits of becoming a National Board Certified Teacher? What do I need to qualify for National Board Certification? How do I start the process for National Board Certification? What is Jump Start and is it the right professional development for me? Any teacher can attend Jump Start! What support can I expect as a candidate for National Board Certification?